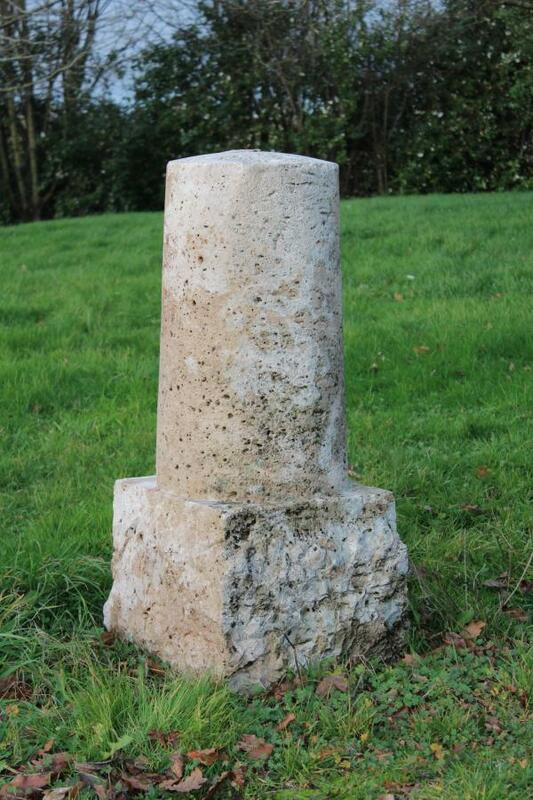 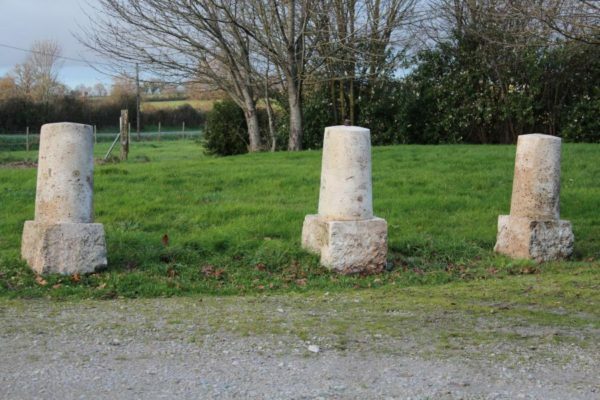 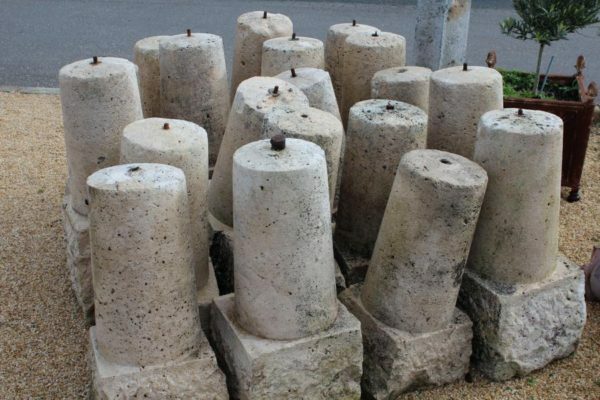 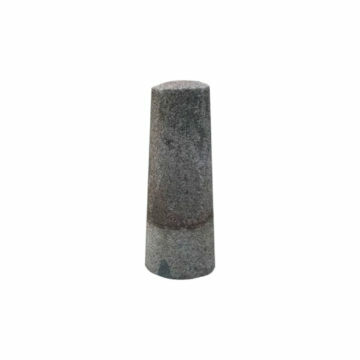 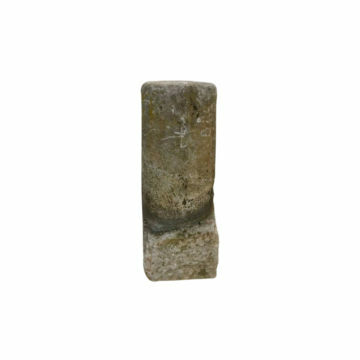 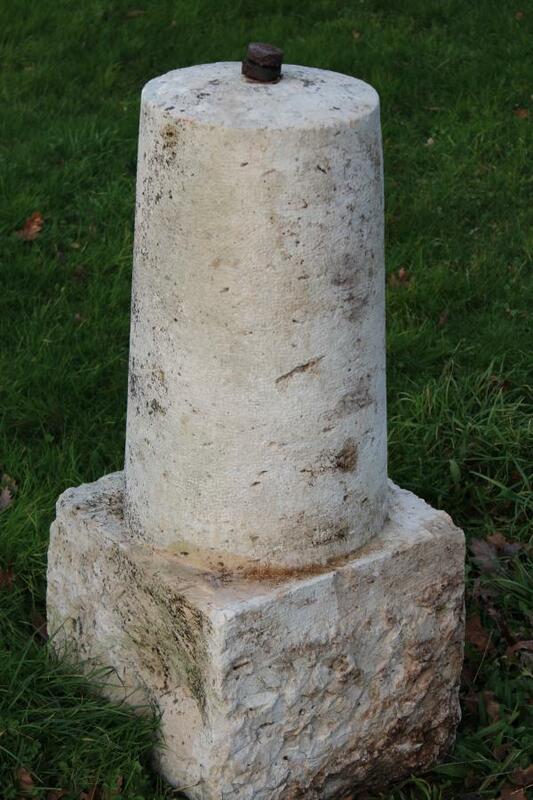 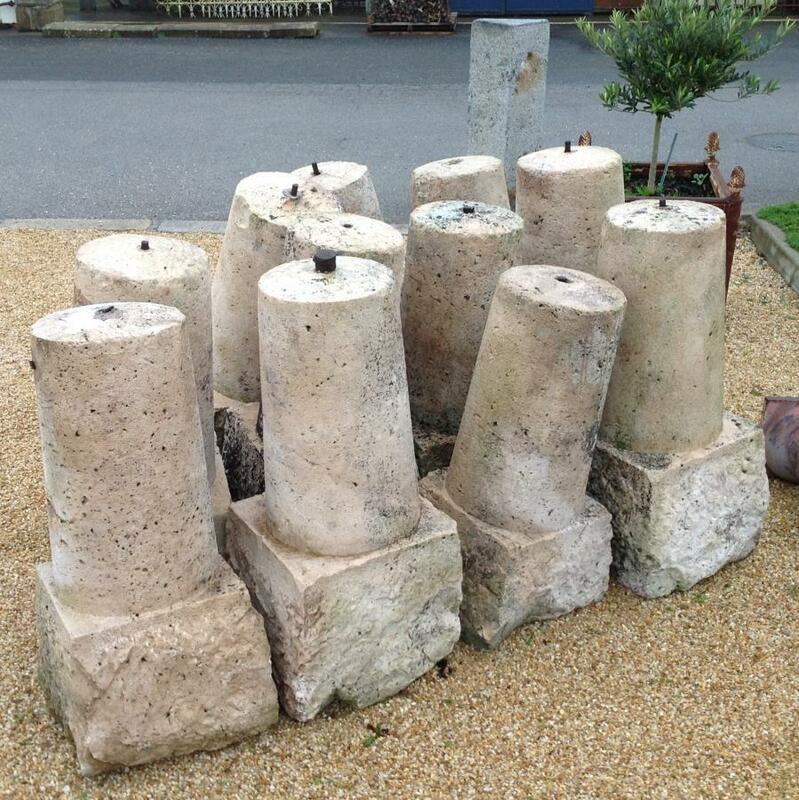 Exceptional matching set of antique French limestone “bollards” for landscaping driveways, or quay sides, for example…. 1 available, presumed not newer than 19th century. Overall height just over 1 metre (40 inches), comprising 64cm (25 inches) height of circular upper section 33cm (13 inches) diameter at the top, and 37cm (14.5 inches) diameter at its base. 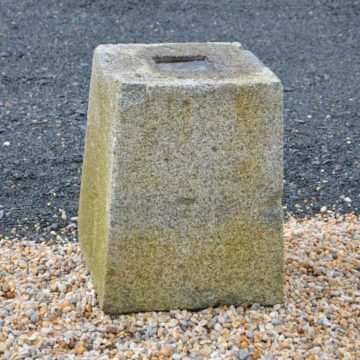 The roughly cubic foundation section measures ht 40cm (16 inches) x section 43cm x 43cm (17 inches square).